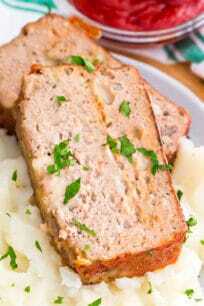 Turkey Meatloaf is a quick and healthy dinner to prepare on busy weeknights. The Meatloaf is moist, juicy, and packed with amazing flavors and cheese! Meatloaf is a fun and easy dish to prepare. 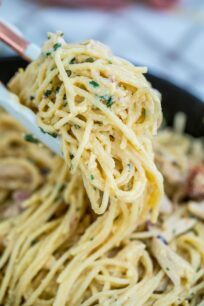 You just mix together the ingredients, and dump them in the cooking pan, for the most delicious and satisfying meal. We already have a delicate and juicy Bacon Wrapped Meatloaf. Like the regular meatloaf, the turkey version is full of flavors but is on the healthier side. 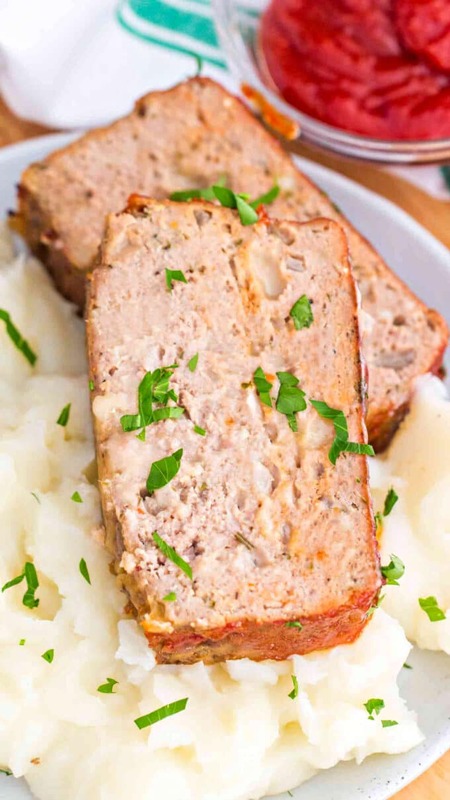 This Turkey Meatloaf has all the flavors of a regular beef based meatloaf, but with a lot less calories and fats. 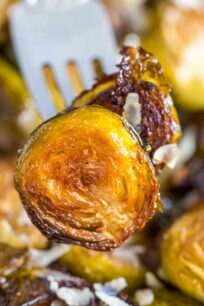 The dish takes about an hour to make, and can be also very versatile. For example, you can add some veggies into it, such as spinach, to satisfy your taste for greens. Also, in this version, we used pepper jack cheese, which gives the meatloaf a moist, tender texture and a spicier kick. The garlic and Italian seasoning herbs add just the right balance of flavor. 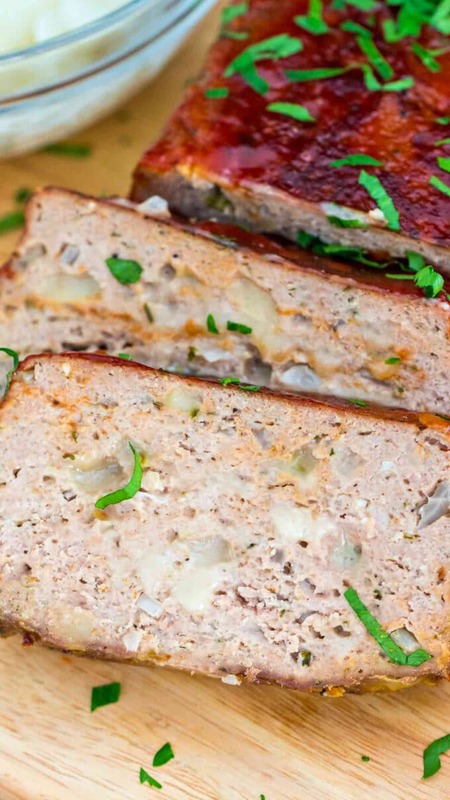 This Turkey Meatloaf is an easy dinner, as it requires just a few ingredients. Topped off with the most delicious glaze, it has all the components to become the favorite go-to meal. 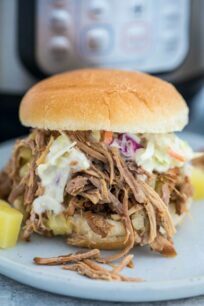 It is recommended to eat it warm right after cooking or could be similarly tasty the next day as a cold meatloaf sandwich. 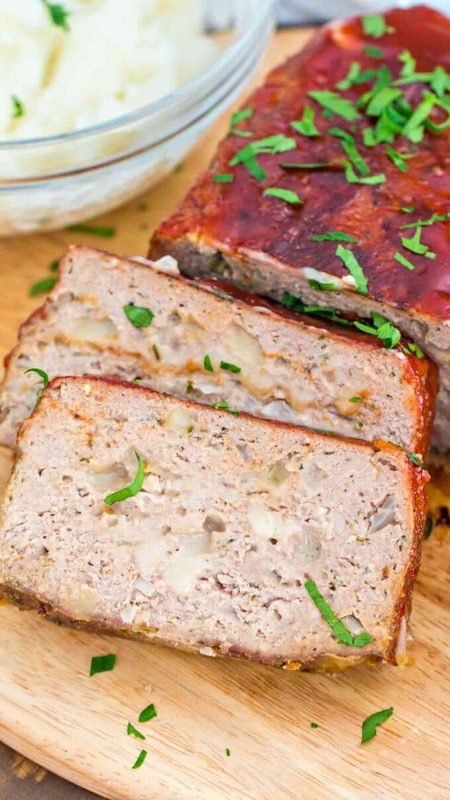 How to make the perfect Turkey Meatloaf? Combine ground turkey, milk, egg, onion, garlic, bread crumbs, seasoning, and cheese in a large bowl and mix well with your hands. Next, grease a meatloaf pan lightly with some oil. Then, spoon the mixture into the loaf pan. Similarly, you can just shape it into a log and place on a baking sheet. Bake for about 60 minutes, or until the internal temperature of meat is 160-165 degrees F. Spoon over the glaze onto the meatloaf midway through baking. Let it sit for 10-15 minutes before slicing and serving. Both, the lean and regular ground turkey would work well. However, using the leaner option will result in a slightly denser meatloaf as it has less fat content. You can form the meatloaf up to 8 hours ahead, and refrigerate until ready to bake. If you don’t have a meatloaf pan, use a regular sheet pan, and assemble the meatloaf by hand. In addition, you can add some veggies in the mix if desired, such as spinach, finely diced carrots, etc. For the optimal taste, use fresh garlic. The canned one will not be just as good. Similarly, if you want to use a store bought BBQ sauce for topping, it will work as well. Can I swap the meat to make the Meatloaf? For this Turkey Meatloaf, I used regular ground turkey meat. However, any type of meat would work here. Ground chicken, ground pork, or ground beef would work just as well, or you could even mix the two. Just remember, that ground turkey has less fat and is on the healthier side. HOW LONG DO YOU COOK TURKEY MEATLOAF FOR? Turkey meatloaf needs to be cooked to an internal temperature of 160-165 degrees F to be food safe. For a 2 pound meatloaf, baked at 350 degrees F, it should take approximately 1 hour. Similarly, if you use more than 2 pounds of meat, you won’t double your cooking time. Add approximately 30 minutes for each additional pound of turkey. Turkey Meatloaf is a quick and healthy dinner to prepare on busy week nights. The Meatloaf is moist, juicy, and packed with amazing flavors and cheese! Next, lightly grease a meatloaf pan with some oil and set aside. Similarly, you can make the meatloaf on a baking sheet, cover it with aluminum foil and lightly grease with oil. Set aside. In a small bowl mix all the ingredients from the "Meatloaf Glaze" list until fully combined. Set aside. In a large bowl, combine ground turkey, milk, egg, onion, garlic, bread crumbs, dried parsley, Italian seasoning herbs, salt and pepper. Using your hands, mix well until combined. Then, shape the mixture into a loaf like shape and transfer it to the meatloaf pan, or place it onto a baking sheet. Bake for about 60 minutes, and midway through baking, spoon the "Meatloaf Glaze" on top of the meatloaf, distribute it evenly and bake for another 20-30 minutes. Or until the internal temperature of meat is 160-165 degrees F.
Once done, transfer meatloaf pan from the oven onto a cooling rack and let it sit for 10-15 minutes before slicing and serving. Now THAT sounds delicious! As a fan of pepper jack cheese, this will be a hit with me! OMG I immediately pinned this because it sounds right up my alley! I always add cheese to my meatloaf but I’ve never tried pepper jack . . . I think my hubby and I would love the added kick! My Nana used to make the yummiest turkey meatloaf. This reminded me of hers. I have not made a turkey meatloaf before, thanks for sharing this recipe! I feel like I make the same things for every meal and this is a new one for me to try. My husband would probably really dig this recipe. I think I could also make it keto friendly. He LOVES pepperjack cheese! Meatloaf is always tricky when it comes to cooking time. I am never sure when I should take it out of the oven. Ummm, I’m making this tomorrow. I have everything in m fridge! WOOOT! Thanks, it looks amazing. We love meatloaf over here, but we’ve never tried using turkey meat. We have to try your recipe. It looks delicious! This looks so delicious and perfect for the holiday season. I love hearty and yummy comfort food this time of year. Yes, this is such an easy and delicious dinner! Our kids love meatloaf, but we’ve never done it with ground turkey. This looks delicious. You will love it, its so good!